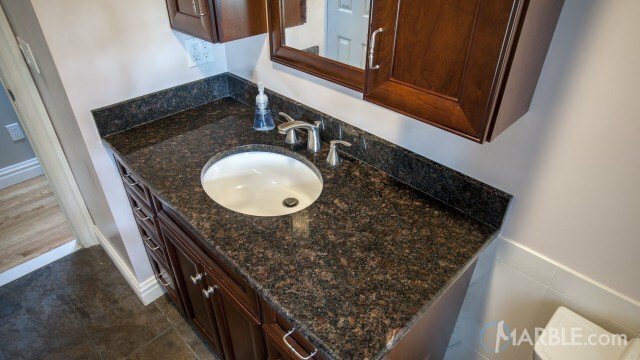 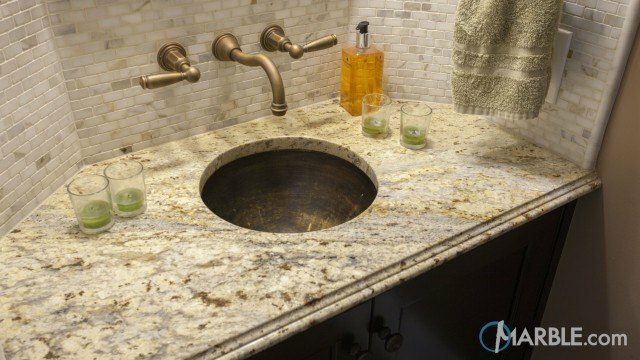 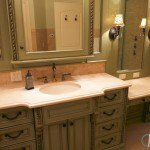 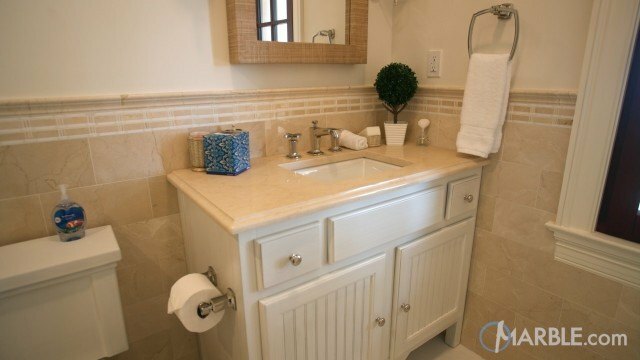 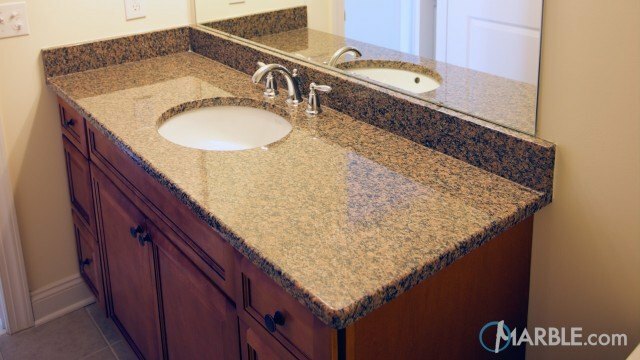 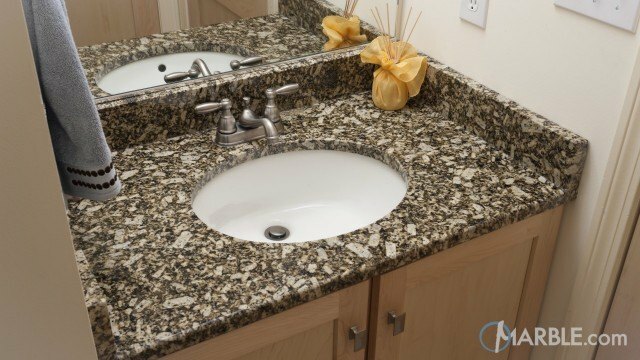 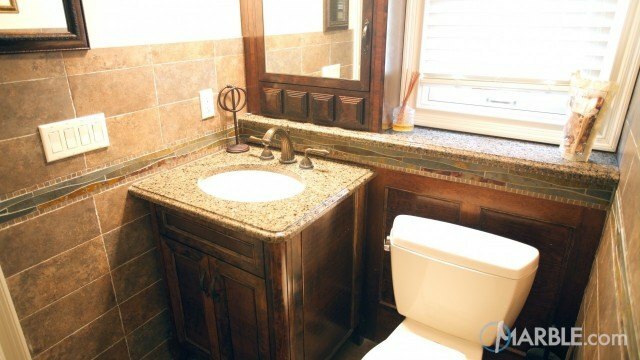 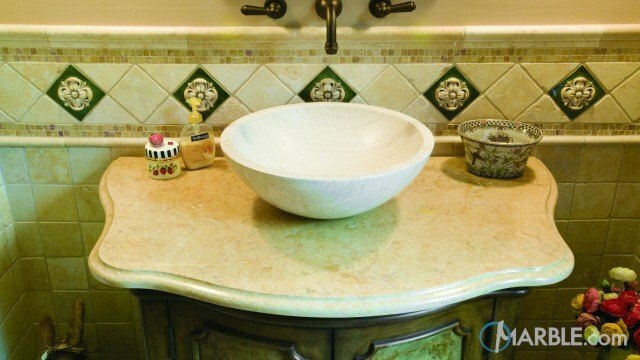 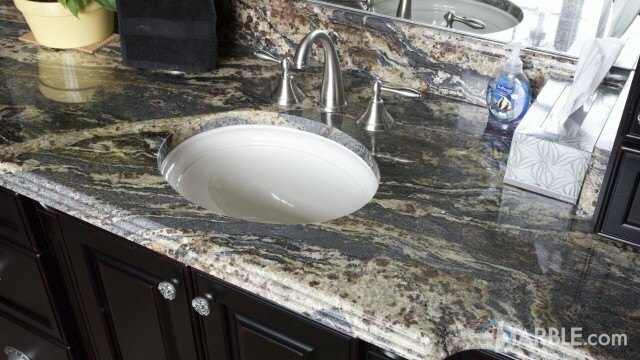 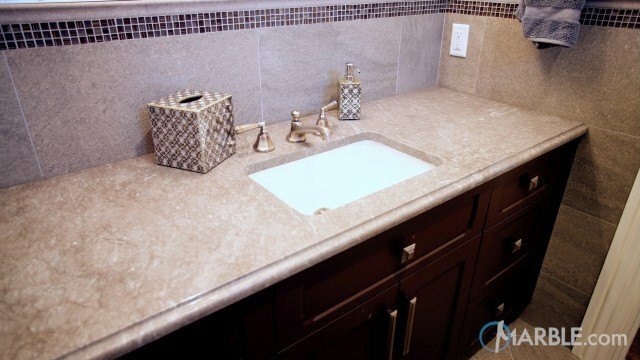 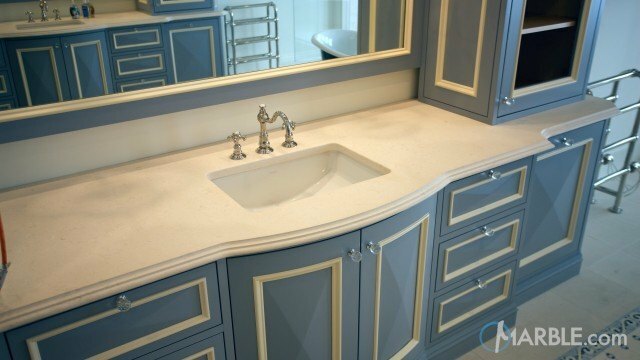 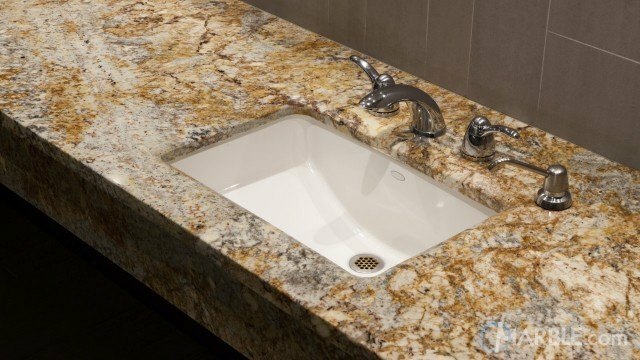 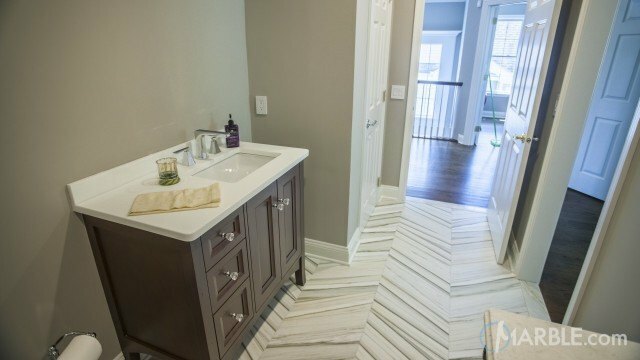 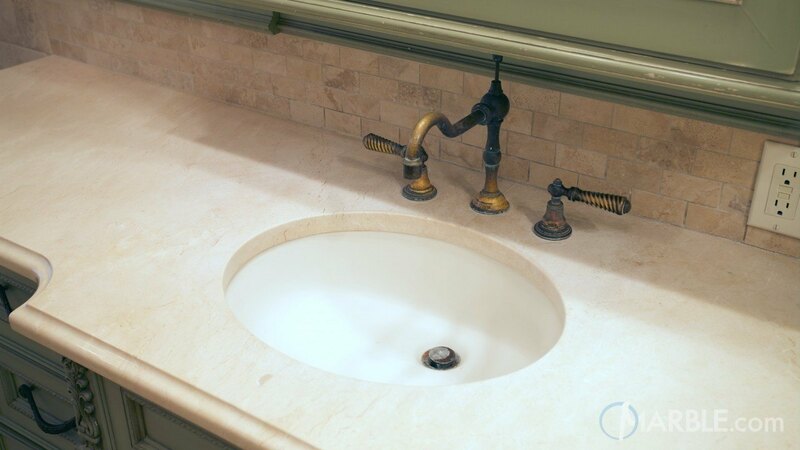 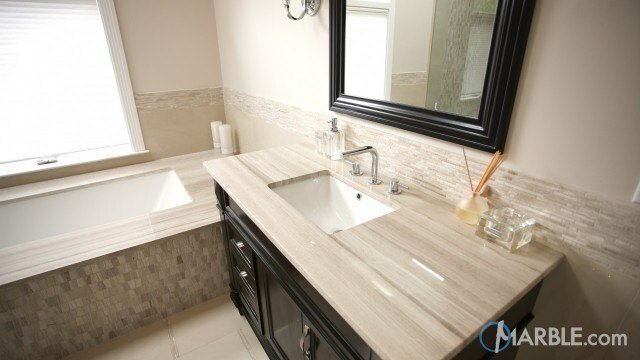 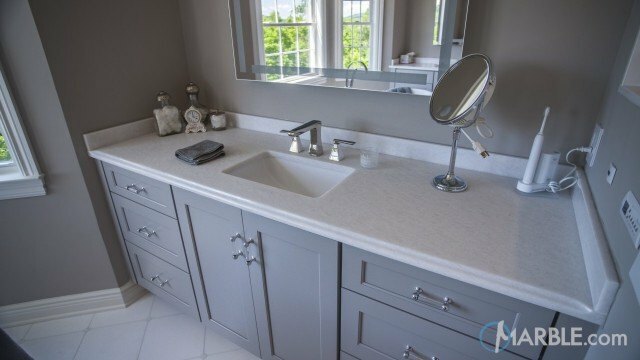 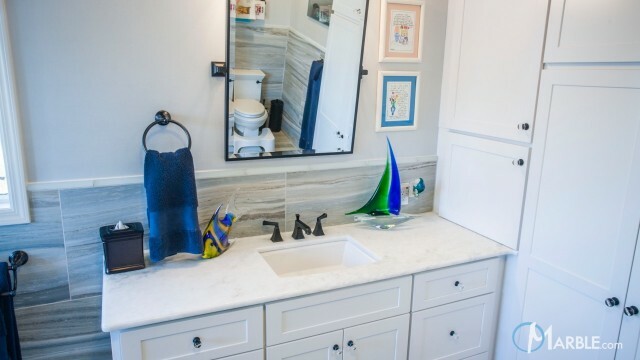 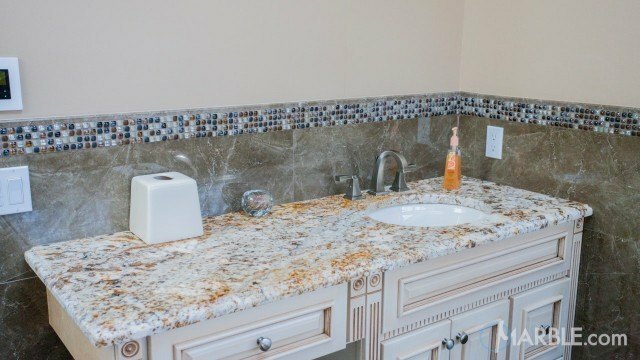 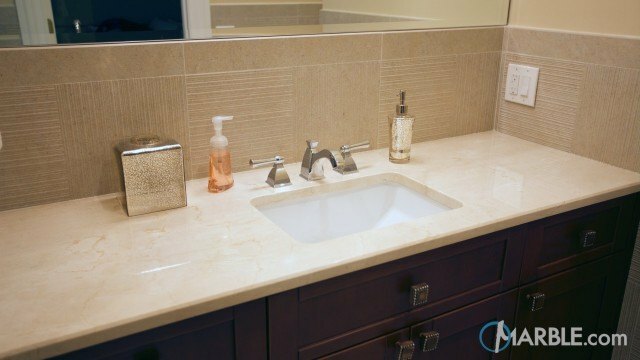 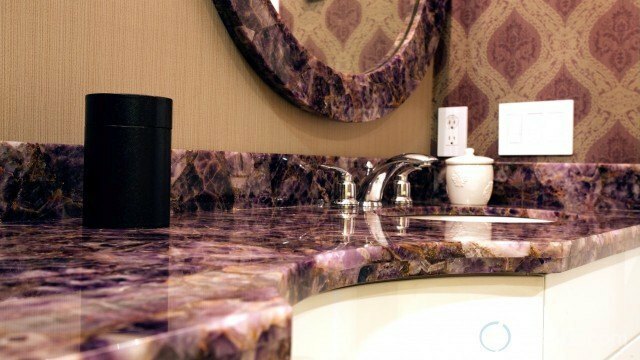 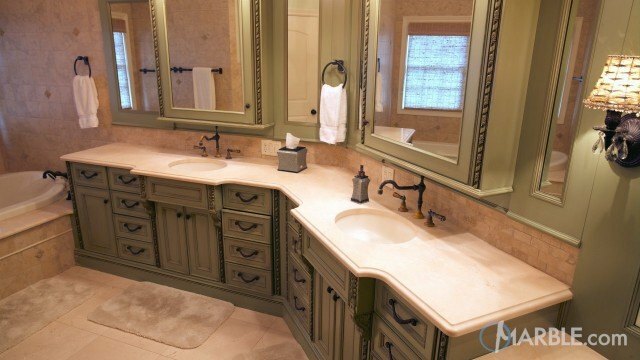 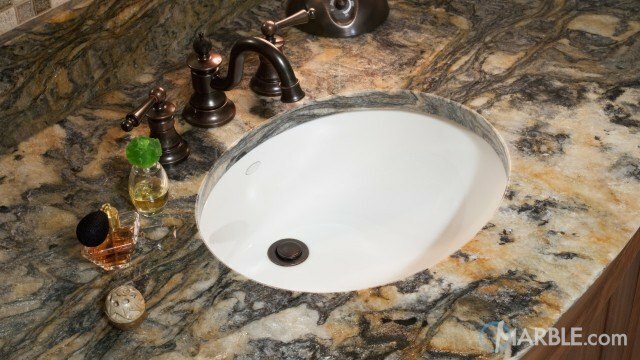 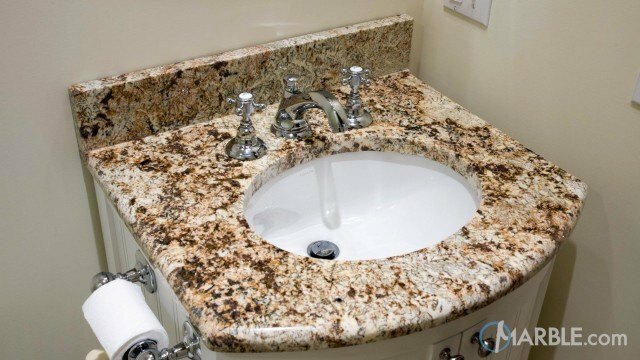 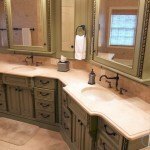 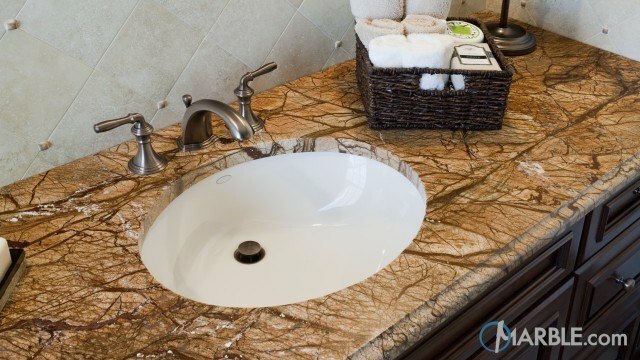 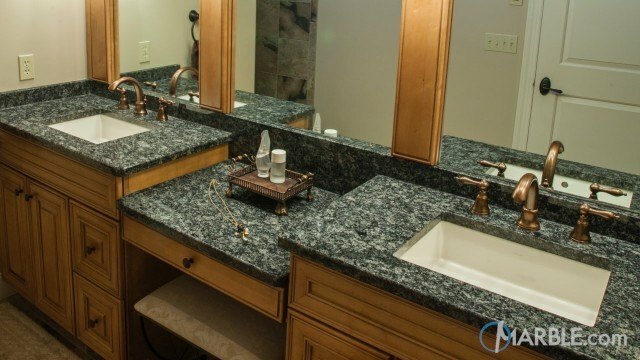 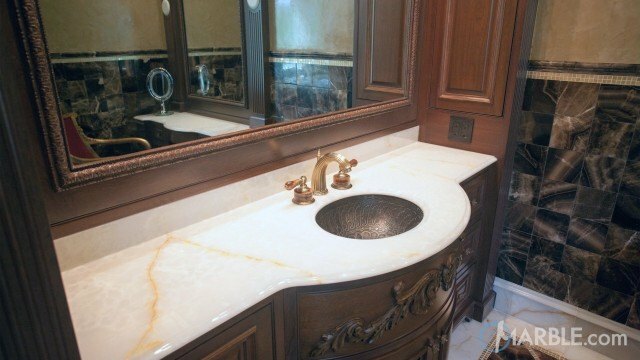 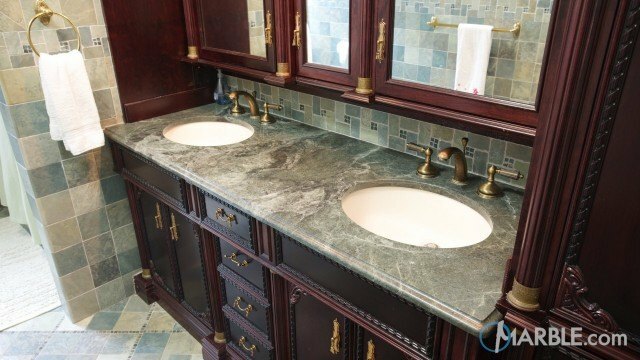 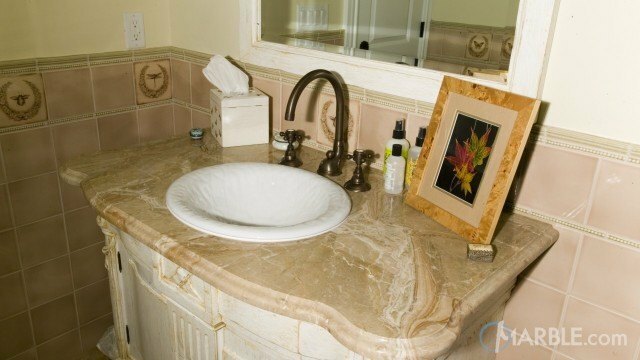 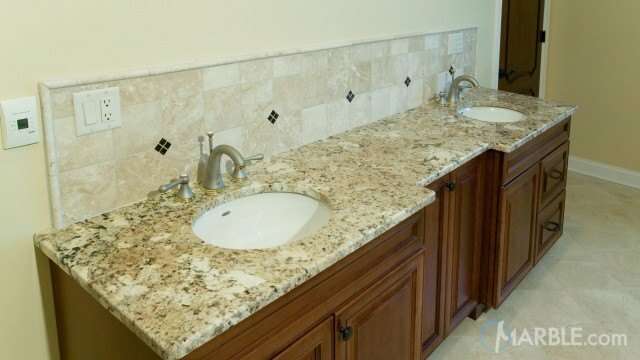 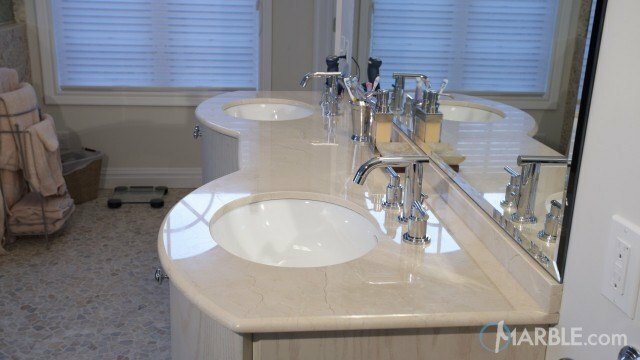 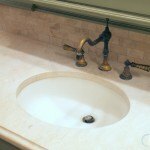 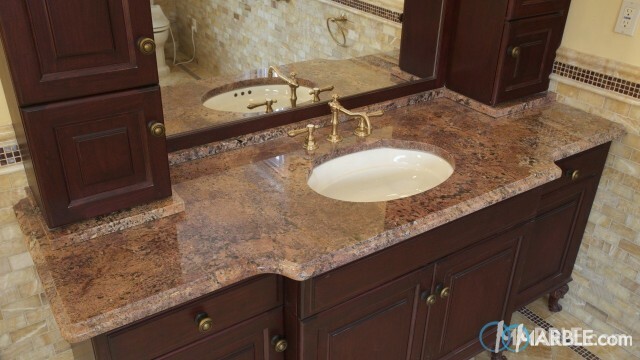 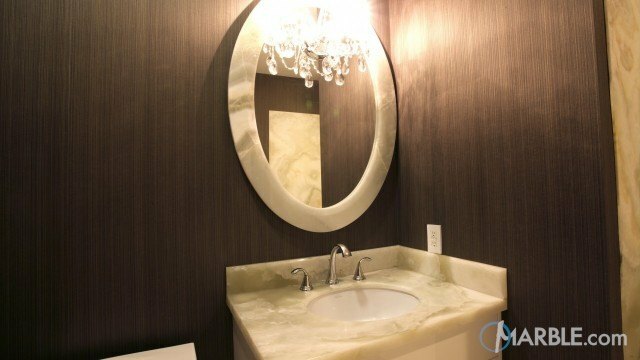 This awesome bathroom features a Crema Marfil marble counter top with an Ogee Edge. 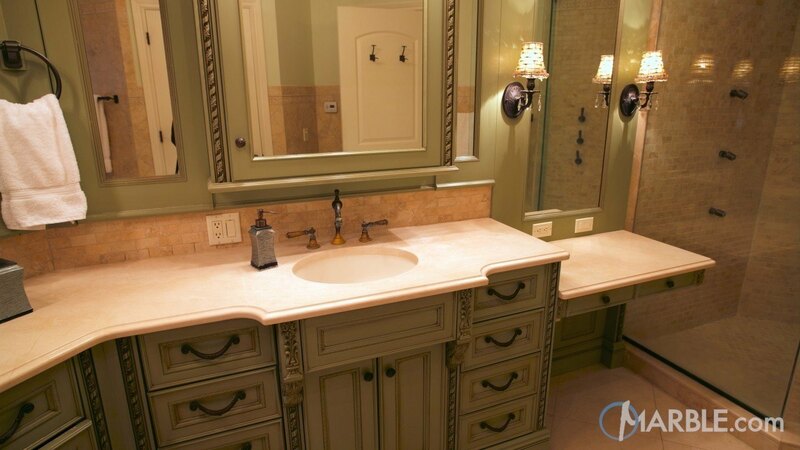 The cabinets follow the line of the wall and the counter top seamlessly follows the angles. 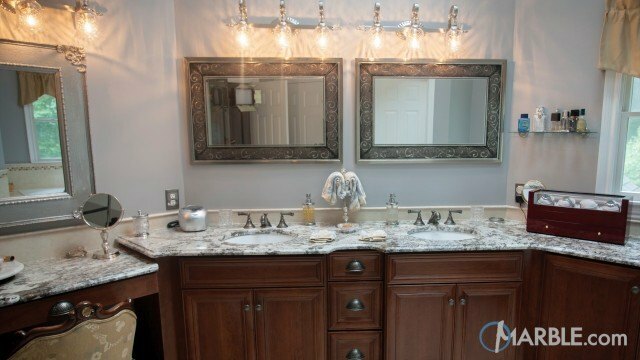 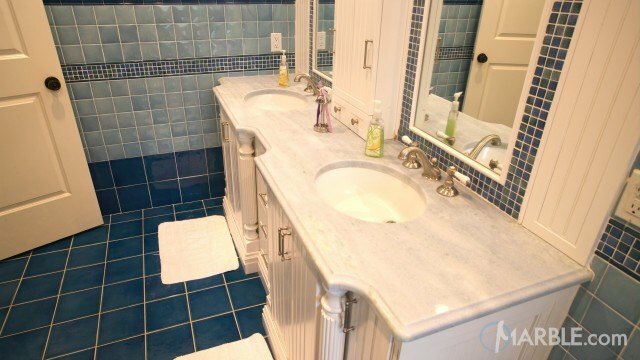 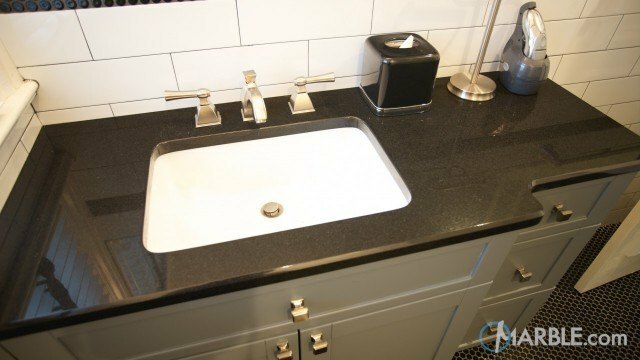 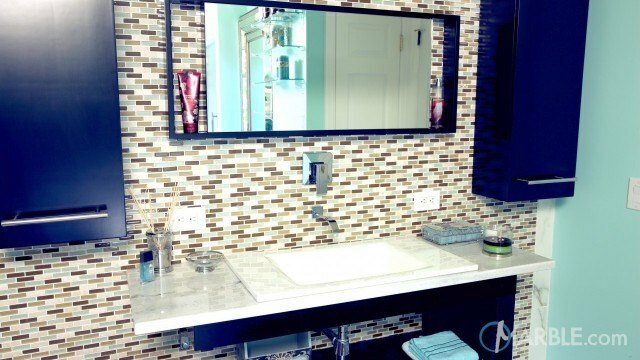 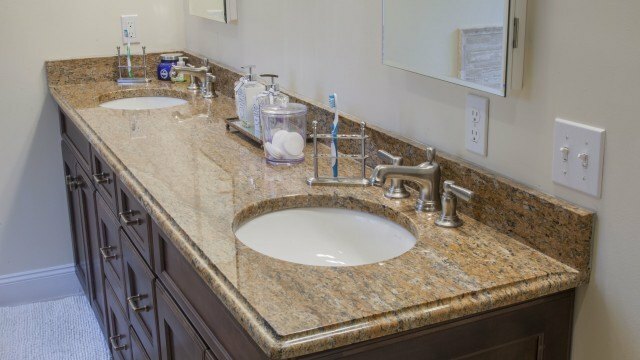 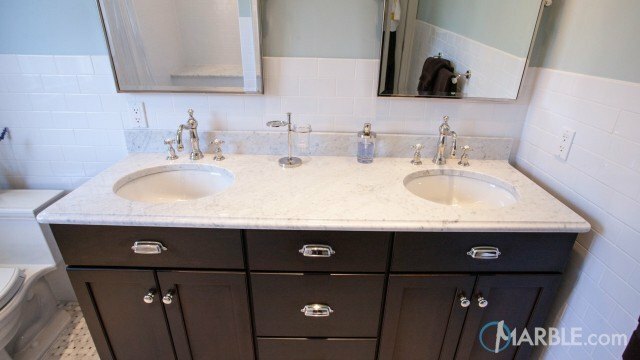 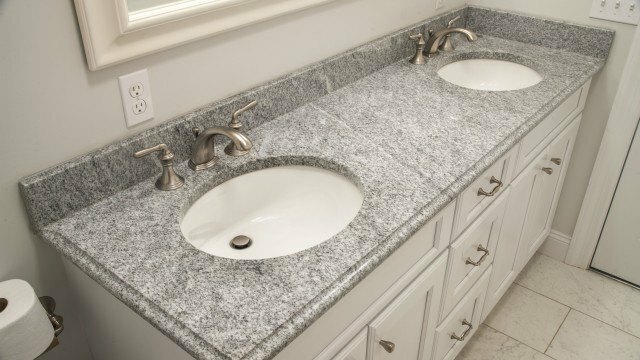 Matching sinks with complementary fixtures give this “his and hers” bathroom an open feeling. 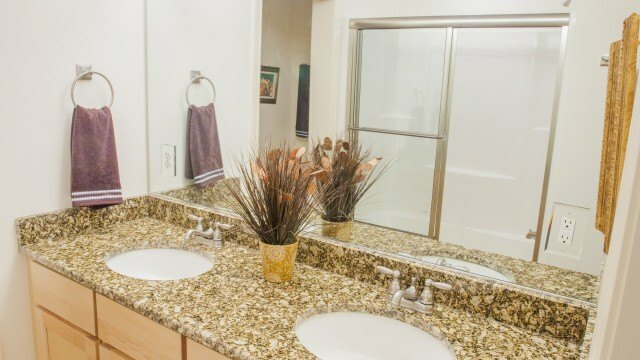 Light wood cabinets, plenty of mirrors and matching floor and wall tile complete the look.